Matthew 13:23- But he that received seed into the ground is he that heareth the word, and understandeth it; which also beareth fruit, and bringeth forth, some and hundredfold, some sixty, some thrifty. 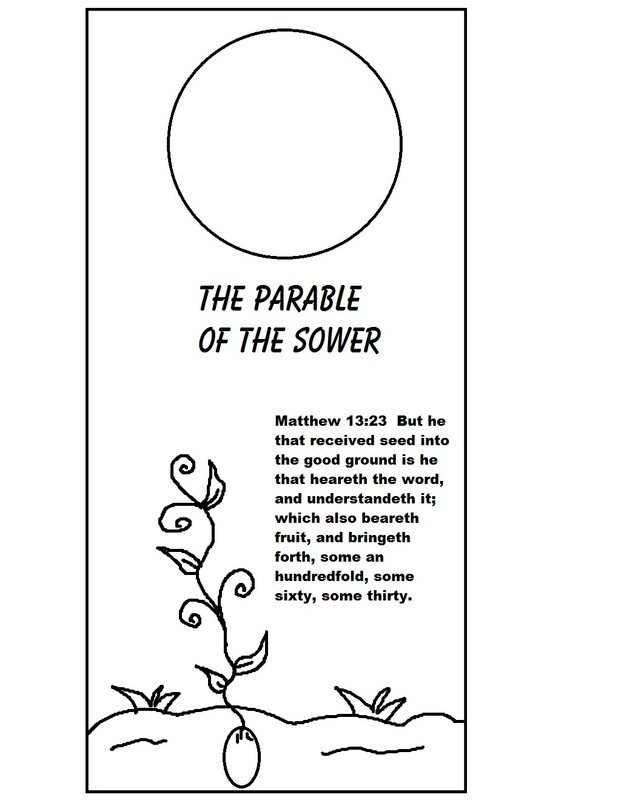 Print out the Parable of the Sower doorknob hanger on card-stock or regular paper. Have the kids color with crayons or markers. Then laminate if you want. Let the kids take it home and hand it on their door. 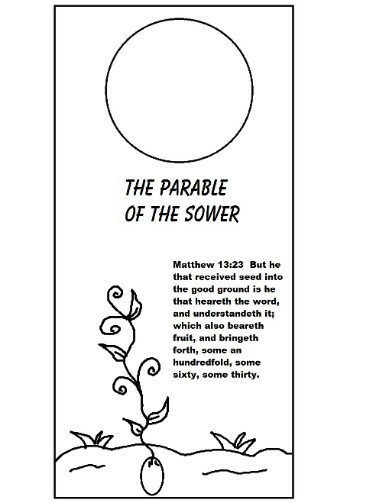 Use this craft to go with the Parable of The Sower Sunday School Lesson. This comes with a coloring page, recipe, maze, activity sheet, clipart and more.